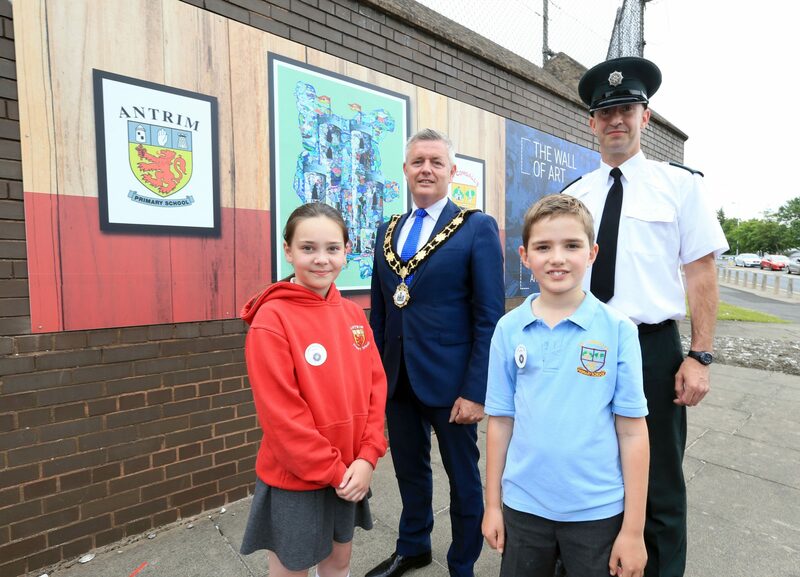 The Mayor, Councillor Paul Michael, unveils the new art installation at Antrim Police Station with Constable Peter Lally, Holly Geddis (Antrim PS) and Matthew Brown (St. Comgall’s PS). You may have noticed some new graphics being installed at Antrim Police Station. The Antrim Town Team and Antrim District Electoral Area (DEA) Councillors, have been working hard behind the scenes to help improve the gateway entrance into Antrim Town. The walls of Antrim Police Station were selected as the perfect place to promote key attractions of the town centre, within walking distance. Along with the key attraction graphics, a cross community art project with local schools, Antrim Primary and St. Comgall’s Primary took place with artist Janet Crymble. 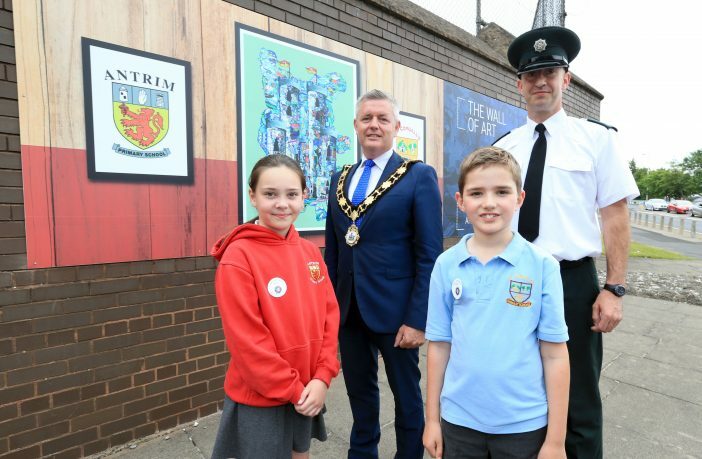 The artwork they designed, which can be seen on the corner of the police station walls, brings to life how the children see Antrim, full of history and heritage. 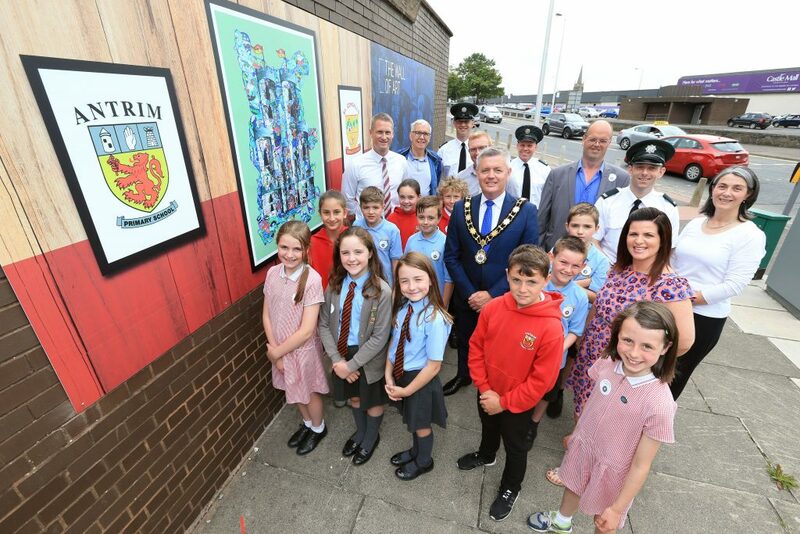 The Mayor, Councillor Paul Michael, unveils the new art installation at Antrim Police Station with local Councillors, PSNI officers, pupils and teachers from Antrim Primary School and St. Comgall’s Primary School.